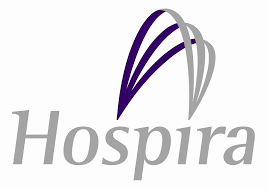 Hospira has proven that biosimilar companies can make mistakes every bit as foolish as companies with originator products, after having arranged a lavish foreign trip for NHS pharmacists. The junket was exposed by the Daily Telegraph newspaper – following a similar undercover investigation last year – and Hospira has now been ruled in breach of the UK pharma industry’s Code of Practice. Five pharmacists accepted an invitation to attend a three day meeting in Croatia, the trip including a visit to the firm’s biosimilar production facility and an advisory panel at a Zagreb 5-star hotel with a spa and casino. In defending its actions, Hospira told watchdog the PMCPA that the delegates were selected because they were UK pharmacists with a role in quality assurance and procurement of biologic/biosimilars. The company said the trip’s purpose was to reassure pharmacists about the high standards of its manufacturing, and to seek advice on how to increase uptake of biosimilar products in the UK, including its own Inflectra (an infliximab biosimilar). 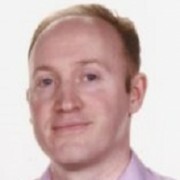 However the PMCPA panel took a dim view of the trip, concluding that “Hospira had effectively organised an overseas promotional meeting for UK health professionals”, and therefore clearing contravening the Code. The Panel said it was very concerned to note that although the meeting (and materials) were approved and certified by Hospira at a European level, the meeting including the venue, the decision to take UK health professionals overseas and the majority of the materials were not reassessed and certified in the UK. It found that overall, Hospira had exercised poor governance in arranging the trip, which included failing to issue contracts and to certify an overseas meeting for health professionals – procedures which are meant to be standard in UK pharma companies. It added that there had been no ‘valid or cogent’ reason to take the health professionals overseas, an error compounded by the advisory board, which wasn’t properly structured to seek advice as outlined in the Code. These latest revelations are further bad news for the UK pharma industry’s image, after another company, Astellas, was suspended from the ABPI in June for 12 months. This is the most serious censure possible, and the case also concerned an overseas trip which broke the UK code. The company was subsequently found to suffer from “multiple organisational and cultural failings” when the PMCPA discovered the company had tried to deceive it by knowingly providing incorrect information. The ruling also comes just weeks after the UK pharma industry took part in a Europe-wide initiative to disclose payments to all healthcare professionals, in an aim to increase transparency and dispel perceptions of inappropriate influence.